With the rise of social media, tons of ways appeared to advertise your business online. Instagram has become one of the most influential platforms for advertising. With over a billion daily active users, Instagram can be very profitable for your business. According to Statista, Instagram Internet advertising revenue in 2018 has reached 6.8 billion dollars, which is twice as more as the platform reached last year. Such insane success of Instagram in the field of advertising makes us think, what Instagram ads are and what it takes to create an amazing Instagram ad. First, let’s dwell upon the types of ads that can be placed on Instagram. This is the standard type of ad for Instagram. But these are not just photos: these posts contain direct links to products depicted on the image. 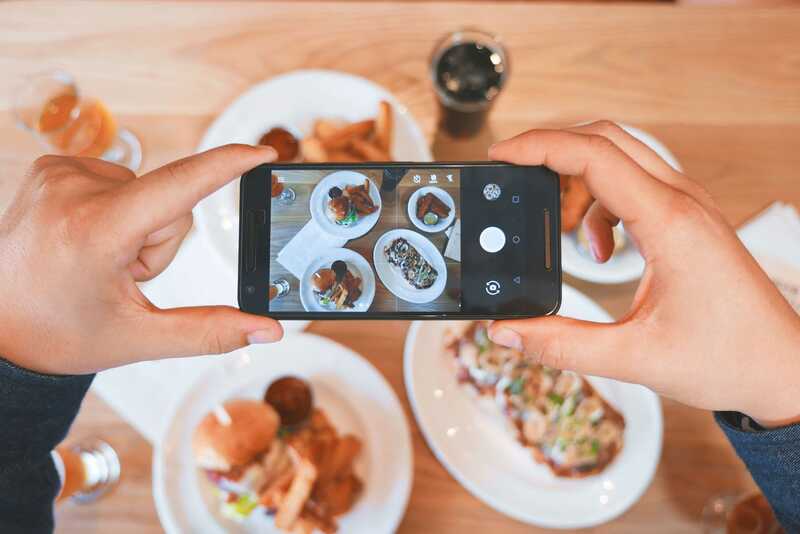 Having an Instagram account and creating regular posts is among must-know social media trends your business must follow. Posting a photo gives you an opportunity to showcase your products and display their authenticity through a photograph. Like Parachute Home, which photo was displayed a little bit earlier, you get a chance to express your identity and show everybody, what makes your brand special. Posting a photo and choosing the right call-to-action button can positively impact the click-through rate and will attract more followers. Modern-day consumers are all about the interactive content. Time people spend on watching Instagram videos is up more than 80% year over year. And with the emergence of live video formats on Instagram like Stories and IG TV, businesses have got more opportunities to connect with the followers. However, with so many interactive video formats, it has definitely become harder to impress the consumers. One way that has proven to be especially effective, when it comes to a promotional video, is a story-telling format It engages the viewer and attracts the attention, thus contributing to a positive customer journey. An ad by Nike, which was mentioned a bit earlier in the post, is a great example of a story-telling format. This ad features Shalane Flanagan, an American long-distance runner. The ad speaks to all those who love running and want to achieve success running marathons someday. This video is short, under 10 seconds, but it speaks directly to the interests of Nike’s audience. It is also a great way to showcase the company’s products, as Shalane Flanagan is dressed in Nike’s sportswear. Carousel ads are a series of photos and/or videos displayed as one post on Instagram. This is a creative way to tell a longer story about your brand, as the length of a single video on Instagram is limited. Carousel ads also allow you to display multiple products or dive deeper, telling a longer story about one particular product. In particular, on the pictures above Adidas showcases their signatures sneakers, the design of which is inspired by the earlier collections. Thus, the brand shows its dedication to its history and expresses appreciation to the loyal fans, who have been following Adidas for a long time. Carousel format is also a great tool for the businesses who want to express the versatility of their content. This a truly creative way to advertise on Instagram. Stories are full-screen series of photos or videos that can be published on Instagram only for a certain period of time. They stay put for 24 hours, after that they get deleted. After it became known that over 400 million people use Instagram Stories every day, entrepreneurs try to make every bit of it and use this format for advertising. Because stories stay on only for 24 hours, they are a perfect way to advertise short-term offers and specials. Stories have all the same features as every post on Instagram. However, you can also add text to them, tag others and add cool video effects. Instagram Stories also have a call-to-action button. To learn more details about a product or a service you need to swipe up, and Instagram will instantly redirect you to the website. How to create an ad on Instagram? Step #1: Connect your Facebook Business Page to your Instagram account. Owning a Facebook Business Page gives you the access to Facebook Ad Manager, which in its turn helps you create ads that will run both on Facebook and Instagram. It also helps you target your ads and also gives you access to ads management. Through the Facebook Ad Manager, you can create ads and monitor the statistics. If you don’t have a Facebook Business Page, here’s a complete guide to making it. Step #2: Connect your Instagram account to your Facebook Business Manager. To add an Instagram account, go to your Business Manager Page and choose Instagram Accounts option in Business Settings. Step #3: Choose Claim New Instagram Account. Then you’ll need to enter your username and password and then click Next. Step #4: Save the changes. If you have several accounts, check box next to each account and save the changes. Connecting your Facebook and Instagram accounts to place the ads is a simple job, but you’ll spend most of your time making sure that you create amazing content people will share. Creating high-quality ads for Instagram is essential, that is why we’ve prepared 3 tips for you to help you create amazing Instagram ads. A successful ad has a clear concept tied to a particular objective. Even before you get to upload your ad through Facebook Business Manager, you’ll be asked to identify the campaign objective. – Do I want more people to be aware of my brand? – Do I want to get more loyal customers? – Do I want to increase sales? Your answer can be “yes” to all these questions, but you need to figure out which one is of a higher priority to you. Identifying the goal of your advertisement will also help you identify your target audience. After you’ve figured out the goal of your advertisement, you can choose the format of the ad which suits your needs. The key to creating an influential Instagram ad, it’s crucial to tie the idea behind your ad to your brand. No matter which goal you’ve chosen for your ad, it needs to clearly depict the values of your brand. Besides, it contributes to positive customer experience, as your followers get a feeling of belonging. – Canva – a creative tool with many templates to help you design your posts. It also offers a variety of fonts to help you create great captions. Canva also comes as a smartphone app, so you can edit your photos on your phone without downloading them on your computer. – VSCO – if you got tired from standard Instagram filters, VSCO has a great selection of tools and filters to create the most unique posts for Instagram. – Adobe Photoshop Express – this is definitely an app you can trust, as it creates high-quality photos and also has some of the features from the standard Adobe Photoshop, like blemish removal and red-eye correction. While you can both use photos and videos to create an ad, the process of creating a video ad differs greatly from that of creating a photo ad. Earlier, we’ve talked about the popularity of a story-telling format for video ads. If you decided to opt for it, it’s necessary to remember that your video ad needs to be engaging from the first second. Instagram videos are usually short, so you need to make every second count. It is also necessary to make it look less like an ad. While people tend not to trust most advertisements, you should try to focus more on engaging them and making them a part of a story rather than trying to sell them something. Your Instagram ads should blend in with other content you’re posting on your account. It is also important to mention that you shouldn’t fill your Instagram exclusively with ads. It will cost you a lot of your followers, as they use Instagram for other purposes than just watching and following your ads. Using Instagram for ads for business can be very beneficial and profitable. Instagram is one of the most used social media platforms. It offers you a great opportunity to share creative content. Hopefully, our guide to creating amazing Instagram ads will help you to become an Instagram sensation!